Imagine the twentieth century without photography and film. Its history would be absent of images that define historical moments and generations: the death camps of Auschwitz, the assassination of John F. Kennedy, the Apollo lunar landing. It would be a history, in other words, of just artists’ renderings and the spoken and written word. To inhabitants of the twenty-first century, deeply immersed in visual culture, such a history seems insubstantial, imprecise, and even, perhaps, unscientific. 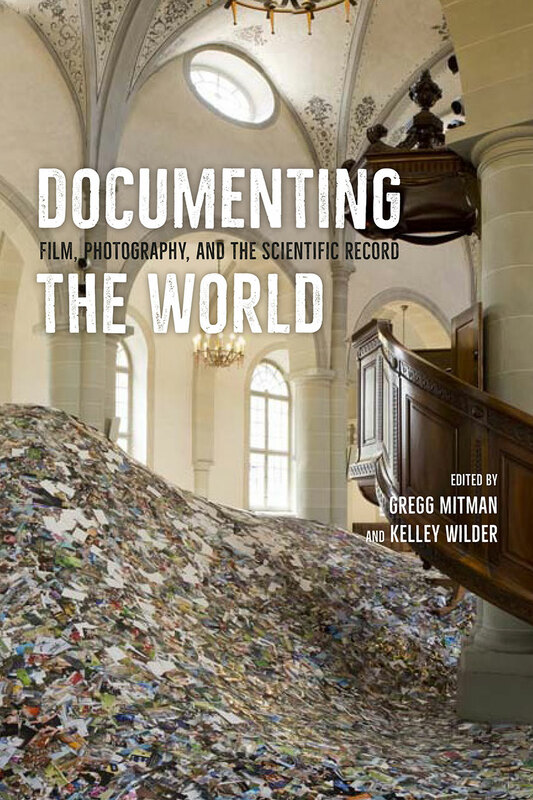 Documenting the World is about the material and social life of photographs and film made in the scientific quest to document the world. Drawing on scholars from the fields of art history, visual anthropology, and science and technology studies, the chapters in this book explore how this documentation—from the initial recording of images, to their acquisition and storage, to their circulation—has altered our lives, our ways of knowing, our social and economic relationships, and even our surroundings. Far beyond mere illustration, photography and film have become an integral, transformative part of the world they seek to show us. "This book succeeds in its aim of expanding the contemporary focus on image analysis of photographs and videos as visual texts through interdisciplinary studies of documentary photography and filmmaking; their social, cultural, and political grounding; and related technical processes. Historic photographs effectively illustrate the themes of most essays and extensive explanatory captions, references to published sources, and end notes are included." images in the construction of documents and evidence, the volume gathers established and emerging researchers from a variety of disciplinary backgrounds. Each chapter illuminates different manifestations of ‘the documentary impulse’ in the form of photographs and footage, of course, but also through a wealth of elements supporting the status of a given film or photograph as document – including, but not limited to, picture frames, colour filters, captions and mounts, expedition reports, narratives, shelving systems, catalogue entries, online search engines, and metadata. . . . As the introduction makes clear, the project has been executed in collaboration among all contributors, and when reading the volume from cover to cover (which is an unusual way of reading an essay collection, but one I deeply recommend in this instance) the contributions by Edwards and Mitman work particularly well to weave the different strands of the project together in the middle, as it were."